Synergy WordWide is proud to announce its new Chief Executive Officer, Terrence Moorehead. As of October 1, 2018, Mr. Moorehead will lead Synergy WorldWide and Nature's Sunshine Products into a bright and prosperous future with his global experience, brand building, and operational strategy. With more than 20 years of experience developing consumer strategies, strengthening processes, and driving profitability across multiple channels, Mr. Moorehead brings leadership, passion, and focus to NSP/Synergy. His in-depth experience leading complex transformations, revitalizing brands, and building high-performance teams is fully in line with the company's future plans. 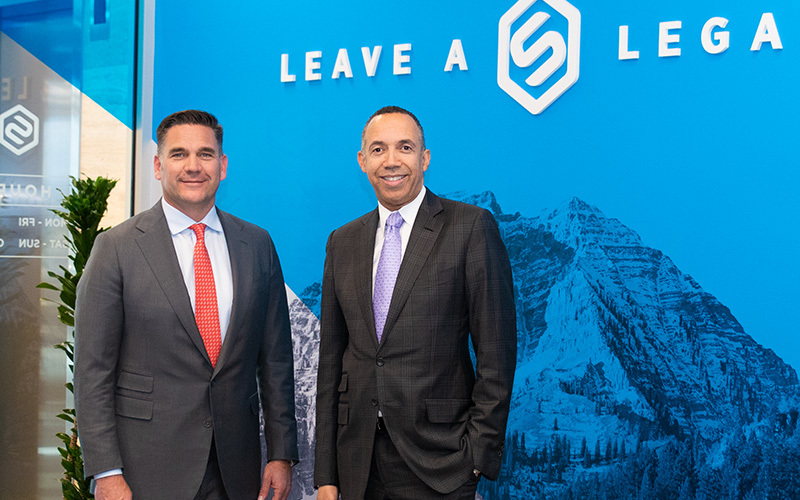 "Terrence is the type of leader that will help us reach new heights and continue our growth throughout the world," said Dan Norman, Synergy WorldWide President. "His extensive knowledge of the direct selling business, brand, strategy, and his focus on every person's potential to be a great leader, make him the perfect person for this job." Not only does Mr. Moorehead possess an extensive and impressive resume, but his energy and enthusiasm for people make him a strong and valuable advocate for Synergy Team Members around the world. He joins NSP/Synergy from Carlisle-Etcetera LLC, a luxury women's apparel house that creates exclusive designer collections. At Carlisle, he enhanced branding, contemporized styling, and improved service by building omni-channel capabilities. He also served as CEO at Dana Beauty, a leader in fragrances and personal care products, where he revitalized the company's focus on sales, new product development, and marketing excellence, with a strong emphasis on driving profitability. Prior to that, Terrence spent more than 20 years with Avon Products where he helped lead the transformation from a $2 billion company to $12 billion in annual revenue. While at Avon, he served as Vice President of Global Strategic Planning, Vice President of Strategy and Digital for North America, General Manager of Avon Italy, President of Avon Canada, and President and Chairman of Avon Japan. Prior to joining Avon, Mr. Moorehead was a management consultant at Booz Allen Hamilton. He received his MBA from the Columbia University Graduate School of Business and his BA from Boston College in Economics and Marketing. "I am very excited to be joining the incredible team at [Synergy]," said Mr. Moorehead. "The company has a long history of excellence, quality, and innovation, but there's still tremendous opportunity for growth. The company's global footprint and leadership in product development are an excellent platform to drive growth. I am eager to join the team and partner with our distributors and employees to take the business to the next level." Welcome to the Synergy family, Terrence! We are thrilled to see you cultivate growth and support our teams across the world. At this very moment, scientists are suited up in lab coats and goggles, working hard to improve Synergy WorldWide's product offering and product efficacy in The Hughes Center for Research and Innovation. Efficacy is a word that is often used when discussing product formulations, and its meaning describes exactly what Synergy WorldWide's focus is: creating products that are scientifically proven to work. An efficacious product is one that does precisely what it was intended to do, and Synergy products are intended to help you live life fully with a complete and trusted health system. "It is one thing to say that a product works, but it's another to say there is proof that a product works," said Dr. Joseph Lamb, the Hughes Center's medical director. "Because of this lab, you will be able to sit down with a business partner and tell them about our unique ingredient combinations, about how these products weren't just created by three guys in a meeting room with a few medical books and limited funds. Our goal is to deliver valuable products and product information to as many groups as possible." Without testing products on human subjects, it's impossible to know how effective the products are, which is why the Hughes Center's clinical labs are imperative to the future development of Synergy WorldWide and its product line. 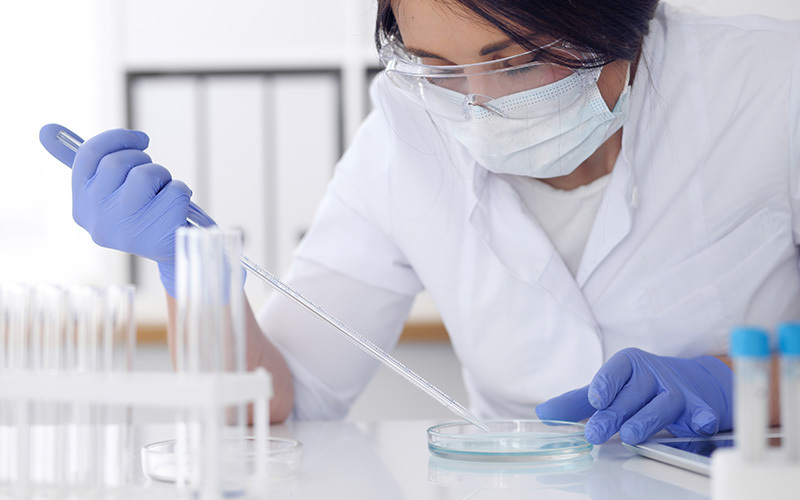 The process leading up to performing a clinical trial is extensive and requires months of preparation. Take a walk through the clinical process that scientists execute as they work to prove that Synergy products are among the best in the nutritional supplement industry. All clinical trials begin with a light bulb moment. When the clinical teams develop a substantial idea based on the most important nutritional and health needs of the modern world, they begin combining safe ingredients and performing self-studies. When the research team discovers a formulation that they feel confident about presenting, they meet with the independent review board composed of company executives and personnel from various company departments about whether this product makes sense from a business perspective. Every clinical trial needs a clear set of directions. Questions including "Who do we recruit and test? How many subjects do we need? How old are the subjects? Are they generally healthy enough to participate? How do we instruct subjects to take the product? What information do we want to collect?" The protocol goes through several drafts and is questioned in detail by several company departments. Dozens of additional questions—"Is the study unique? Is it ethical? Is this the best subject demographic? "—are asked as these departments consider how influential the trial will be to Team Members who are looking to market the product with clinical proof. After these questions are finalized and organized into a protocol, the protocol is sent to an outside review board (IRB) for input and approval. Based on the protocol's final instructions, the clinical team begins searching for the correct group of subjects. Often, subjects are recruited within the walls of the Synergy WorldWide and Nature's Sunshine office buildings. When a more specific group of subjects is required, the clinical team will seek the help of the marketing team to publicize the study and recruit the target demographic. When the group is selected, each participant comes into the lab for an initial meeting where the trial objective and product usage is explained and screening lab work is conducted to ensure the subject is healthy enough to participate. The subject may come back multiple times throughout the trial period to report results or once at the end of the trial period, depending on the study. Thousands of data points are compiled over the period of a clinical trial including physical samples. A study of 20 subjects can produce more than 560 individual samples. These samples are then kept in two freezers that are large enough to store more than 45,000 samples per freezer. The samples are kept at -80° Celsius to maintain each sample's integrity. The clinical team will use additional testing groups within Synergy and NSP's scientific teams to evaluate the collected specimens using a number of tests. For example, a bioavailability study shows the degree and rate at which a potential product ingredient is absorbed into the human body. Measuring nitric oxide levels in the blood indicates whether or not a subject is getting proper nutrition. An Endopat is a non-invasive test to assess cardiovascular health and risk factors. These are examples of literally hundreds of test that may be performed to assess the safety and efficacy of a given product. When every specimen is analyzed, study results are compiled and evaluated for statistical significance. The clinical team must measure the new product's impact and determine whether or not it is ready for the market. Every detail carried out in a clinical trial is in anticipation of these results. The findings that emerge from The Hughes Center's clinical labs have the potential to cause rapid growth in Synergy's markets, and thanks to the knowledge of brilliant scientists, the information they can uncover is limitless. Only through the innovative research conducted at the Hughes Center can the true potential resting in Synergy's proprietary formulations be unlocked.